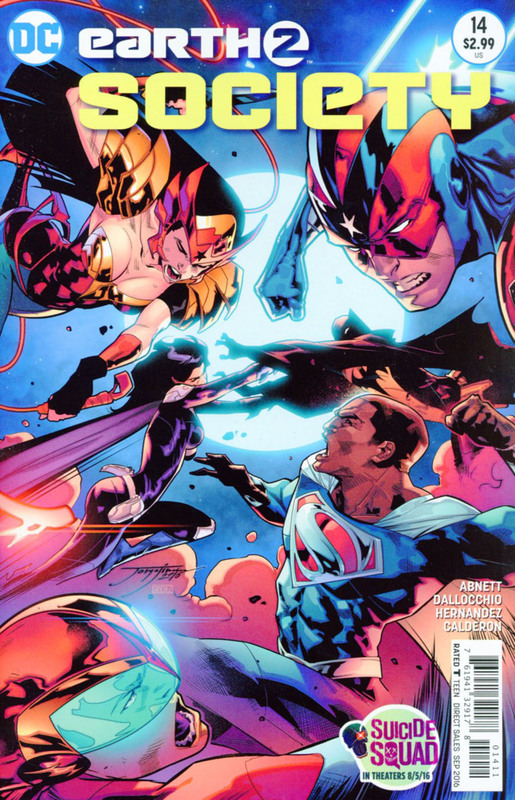 Debate and discussion on whether the Pandora Vessel should be used to resurrect old Earth 2 are the order of the day. Richard Grayson, the current Batman, has a personal stake in this as his wife died in the war with Darkseid, and he doesn't even know if his son John is alive. The superhero community is divided on the Pandora Vessel issue. Yet, one thing is certain. Whatever decision is made could literally change the world. The Ultra-Humanite's Humanites attack Neotropolis in search of the Pandora Vessel. Power Girl, Val-Zod and other superpowered individuals have been defeated. Firepattern is about to grab the device that brought back the Amazons. However, he must get past Batman. Firepattern hesitates when he recognizes the Dark Knight, for he is none other than Richard Grayson's son. How will this change the Humanites' mission? Will Firepattern and Batman reunite as family, or will they be forced to combat one another over the fate of new Earth 2? Story - 5: The ending revelation was predictable, but it was well done like the rest of the story. Dan Abnett blends fine character moments with superhero action into this chapter of this serial. Since Abnett has taken off as scribe, this title has become my favorite DC book. Get him to write a script for a film or television series DC Entertainment. Art - 5: After the disappointing art in the last issue, I expected the worst in the visuals this month. I'm relieved to finally see this book have images worthy of Dan Abnett's story. It feels like Federico Dallocchio has finally eased into this title. Angel Hernandez also does wonderfully. I look forward to seeing what both artists will do next. Cover Art - 4: This cover, while it has great art, is clearly meant to sell the book and make readers believe that heroes will fight other heroes in the story. That really doesn't happen in the strictest sense beyond discussions in the beginning. The fact that this image misleads somewhat makes it lose a point for me.